Here we have the issue of reiki and the investigation of reiki history. We stop in this research to reiki founders and mainly we will direct to the fate of a military doctor and teacher of reiki Chujiro Hayashi. 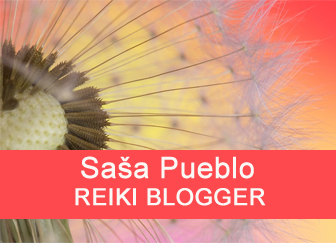 Reiki means bioenergies of the human body and to perceive reiki energies we should become a sensible person, start to hear energy by eardrums as a tension in the body. Go to your electrical substations and perceive the electricity and energy fields directly on the skin. When I send over eardrums frequencies and voltages inside the body I levaluate how this voltage changes in the body. I send roar into lungs and I listened and found out that lungs have very low energy and I need to recharge them. So I had to develop a sensibility that I could listen the bioenergy, test, review inside of yourself but also at distance on other people. I proceeded systematically and found out that bioenergy generated in the human body in mitochondria convert energy using the iron. Mitochondria are mini organelles within cells which converts the energy to superconducting and para-magnetic energy. Someone is consecrated at the beginning of the journey but wanted to go the way of exploration, investigation, gradual development and verification. Almost 20 years I have verified energy healing and I tried to step through all types and kinds of treatment with bioenergy of the human body and the human magnetism. I worked with heated palms, rubbing on each other, massaging the center of palms, fingers oscillation, blowing air between hands and similar techniques. Thus, the number of repetitions, testing, and treatments for progress in the bioenergy medicine by intensive way. Here I can include magmatic energy of the planet Earth magma core, psychowalkman, low current therapy, the device for scanning brain waves. After these 20 years, I came to the conclusion that it´s time to begin practice reiki. Currently I have 1.5 years of experience in Reiki system and also in early stages of the clinical death because in this system appears special objects. We call them spiritualist objects and they arise after multiple survival of the clinical death and return from it. These objects can also be obtained by exercises leading to the initial state of the clinical death or you can gain them from living spiritualists. 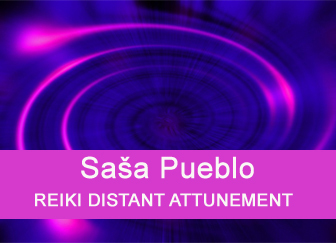 The goal of Sasa Pueblo is to train and examine the history of reiki, reiki energy objects and to bridge them with objects of spiritualism – clinical death. Actually, reiki objects are used to treatment and spiritual objects give reiki the intellect. Something like management and operation of reiki objects. 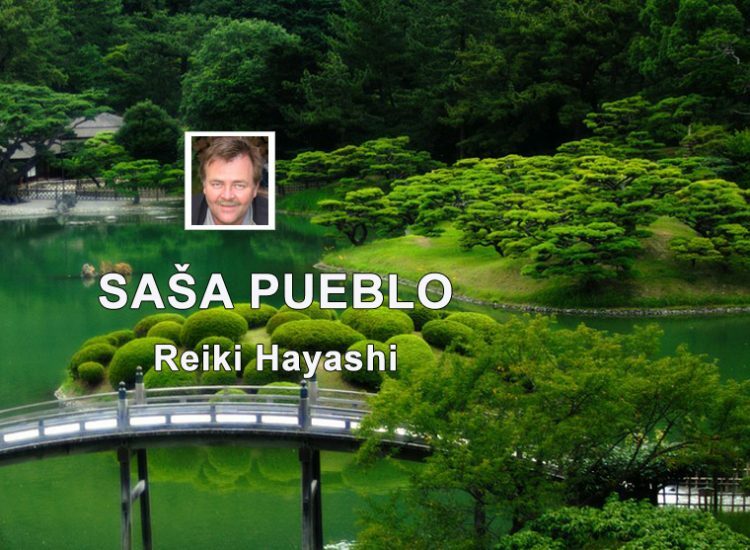 Sasa Pueblo will seek deeper insight into Reiki I.
Reiki master Chujiro Hayashi was an active collaborator of Mikao Usui who before 2nd world war was on the imperial court and was in charge of health, treatments and therapies and he was the initiator of consecrations. Reiki is actually standard practice of traditional and historical Japanese Shinto. Japanese are historically fascinated by the cosmos and everything around it. Also the tradition of ikebana is the presentation of the cosmos, the sun and the earth and actually bridging into the space. Bonsai is also inspired by the cosmos. The whole Japanese culture is under this influence. Fallen meteorites were the source of the worship images and rituals. In one Japanese monastery are exposed meteorites into which are carved Japanese characters. In Japan, tradition of meteorites is surprisingly hidden into meteorite swords. Samurai swords have been made of melted meteorites containing metallic elements. Samurai holds the sword in his hand which includes meteorites and makes with it rites and rituals, practicing with it, kills, lives with it and his psyche will be adjusted accordingly. Relationship between meteorite and the human mind is interesting and is the basis of Reiki as such. When you get a meteorite and you´ll meditate on it, you will be able to better penetrate into own neurons and your energies start to flow in your body in a special way. When the meteorite is modified right, for example, is ground down into jewelry, so its effectiveness is growing. Meditation on ordinary meteorite does not have such effect as the meditation on meteorite adjusted into a different form such as a statue of Buddha, character reiki, pendant, sword or dagger. Reiki and meteorites are an integral part. Even Japanese metallurgy of iron meteorites are the deep part of reiki. Thanks to Shinto and deep respect and meteorite meditation we actually have reiki system which consecrated persons could transfer to other persons. Such system other religious do not have. Reiki traditionally based on meteorites and the cosmos can transmit healing and spiritual objects to others and this is unique ability. Mikao Usui was reiki founder, but reiki was extended by Chujiro Hayashi because he left from Japan to Haiti where he treats American citizens. In treatments he transferred through the meditation and consecration via meteorites his healing status to persons and he consecrated them to Japan Shinto which is basically fine. Shinto has deep roots across the cosmos meteorites. Meteorite meditation could be in the state that between you and teh meteorit is no difference and you are brother with the meteorite and you are identical twin with the meteorite. Such attunement is ideal, leading to strong activity of meteorites towards your neurons in the brain. Such approach is the base of whole reiki. Unless you don´t own the meteorite, you can connect to the meteorite on the distance. You can connect to the place where the meteorite falls e.g. Tunguska meteorite and to the area where is fallen asteroid which has become scattered to micro meteorites. For example in areas of fallen giant meteorites is formed meteoritic glass. We know where the tomb of Mikao Usui is, we connected sensibly to this place. Over his tomb are two records, one is like you would throw throughout it translucent sail or like you would see the man in the fog and inside the record is a small white glass plate with stacked glass beads. Of course, every oracular trained person can perceive these objects differently. But that’s okay. These power units are at the level of electrons, photons and similar particles. This sign we found at Chujiro Hayashi and every reiki person, who is consecrated has such reiki energy characters. Every deceased person who was initiated into Reiki, has this character over own thomb and it does not matter whether it was cremated or buried classicly – in a tomb. These characters are created in the aura of every person, who is interested in meteorites. 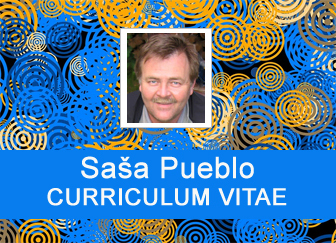 Even Sasa Pueblo throughout the period of 20 years has meditated intensely on meteorites. 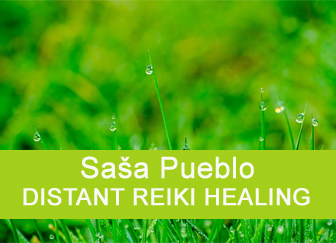 Thus, in the energetic aura of Sasa Pueblo is naturally created reiki symbol but not with a such strength as in Reiki consecration from any other reiki master. By oracular techniques I examined others who were concencrated by Chujiro Hayashi but surprisingly they did not have figure above the grave, there was only a reiki sign – simply transparent plate with glass beads. We began to explore, but why? Reiki founders Mikao Usui and Chujiro Hayashi were irradiated and actually got more consecration. This hit their bones and this has a unique effect. Considerable amount of Philippine healers have tuberculosis of bones and many top reiki healers always have some bone disease. We know that very well treatment is by animal bones. And this was the case Chujiro Hayashi, who in addition to Mikao Usui initiations had altered bones and this multiply his healing potential. After radiation hitting the organism defends itself so that radioactive substances are downloaded and stored in bones of affected persons. On the one hand there is the impact of meteorites that is beneficial to reiki consecration but the curative effect goes through practice and bone disease states, live or dead bones, fossilized bones, irradiated bones, human bones, animal bones or tortoiseshell. How does this should be done to have similar capabilities without the consecration and radiation? One option is to connect remotly to people who survived radiation and collect from them the energy which can be used to treatment, so you will not destroy your own bones. We have to connect to such places and copy them into your aura many times. Over the grave of the samurai are luminous balls which are dynamically charged more then over the grave of Mikao Usui. They are built at the level of photons, not electrons. It is because of sword rituals which include meteorites. It´s necessary to connect on such places and copy them into the aura and do this many times. Now I examine Chinese Reiki and this is a dangerous for example that they unilaterally meditated on magnets and have special effects but in common this was devastated. Many issues from Chinese reiki could not be used because it harms health. Chujiro Hayashi dies, but he dedicated few who have returned to the United States. Of course, the quality of their consecration slowly decreasing. When I see Japanese line of Reiki masters from around the world I still find the same level of reiki objects. Thus, it is as a plate with glass beads or fluid lotus flower or figure with wings. Some have made five or more rolls of basic character so they were 5 times more consecrated and thus increases the potential power of Reiki. Over death Reiki masters couldn’t be found today a fluid body only classical reiki character in the shape of plate or it may look like energetic lotus or chakra. I didn´t find in anybody else such glowing reiki objects as Japanese samurais had because the practice involved handling of meteorites that are processed into other materials. A Japanese samurai lived, worked, trained and fought with samurai sword throughout his whole life. More intense meditation is not possible. To copy those glowing objects into my aura I connected to places where samurais are burried with the thought that I want to continue in their traditions and then they permit to copy it. And so we can strengthen received reiki consecrations. I consider it as proper to do some basic reiki consecration, use more such reiki rolls. I found reiki masters who passed 10 consecrations and they have 10 reiki objects and can work with each separately. 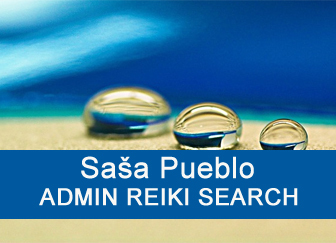 I plan to have in the aura thousands of basic reiki signs – transparent rolls. Inspiration for thousand-petaled lotus – reiki rolls. And also reiki objects in own aura enhanced by copies of characters that someone forms today or in the past. I’m interested in the Philippine reiki and qigong reiki in connection with bones, but about that in another article. This is about reiki inspired by bones and healing objects created from bones. Philippine reiki has different characters than Japanese reiki, they are in the form of photon caterpillar. I will write about this more clearly in future articles. How to build on traditional Japanese Reiki, how to dynamize it, how not to treat by own energies, how to concentrate energy sources and protect them, because many healers sacrifice themselves and I wouldn’t like to. Whatever you do at the expense of your health would end badly and this is not the right way. Many healers heal with own energies and they quickly get weaker and often end their lifes prematurely. Meteoric magnets could be easily found in nature, but you can connet mentally to them or take over from producers and healers mainly in India copies of what is above their graves. These objects can not be seen by the conventional sense, you have to be sensible. Over graves of persons who were doing magnets and added magnetite and iron into iron meteorite and with hammers produced specific magnet, is magnetic roll. What India calls spiritual lotuses are actually reiki objects generated in different activities with meteorites. Those who have trained cosmic consciousness (that means they are able realisticaly penetrate the atmosphere mentally on basis of particlesand not limited to the imagination of the atmosphere), may go to an asteroid or meteorite which are in our solar system. Interesting is to form reiki symbols or spatial patterns from meteorites. Think of which cosmic elements meteorit contains. Meditation on different elements that meteorit contains could dynamize whole reiki, because the dedication and effectiveness of treatment will depend on dynamization. It´s good to be inspired by Japanese culture, watch a lot of videos of Japan – this is also meditation. It´s important to build up the connection with Japan and Japanese culture, because if I want to copy signs Mikao Usui or Chujiro Hayashi, I get them much better, if I have relation with Japanese culture, shinto, zen or zazen. If you have reiki consecration and you have the spherical shape of small balls inside, it allows you to create additional reiki objects for example by the meditation on fossils, animal bones or reiki can help when reading Bible or other spiritual book for example Abdurushina so on the reiki character appears Abdrushin scheme. I want to transmit the entire esoteric and healing by reiki, as well as the system longevity studied by oracular techniques in long lived individuals. A person who goes often into clinical death during the night and not even know about this, creates objects that we call spirit bubbles and these bubbles can perform a certain action, for example copy health of the human. Spirit objects are the way to give reiki objects intelligence. Chujiro Hayashi was a naval doctor and he healed his patients by Reiki. He began studying with Usui in 1925, he made his branch Hayashi Reiki Kenkyu-Kai in Tokyo Shinano-machi, while his master Usui was still alive, and still keeps the Usui method of learning. Mikao Usui had a wide knowledge of medicine, psychology, theology. He was the founder of Reiki, which is used as a complementary treatment for physical, emotional and mental illnesses. A meteorite is the object that arose after the meteorite impact on Earth or on another cosmic body with a solid surface. Majority of meteorites are stone chondrites, but there are also iron meteorites. A meteorite is a small cosmic body (originally meteoroid) that due to favorable conditions hit the surface of the Earth (or another planet). Meteorites size may range from small to extremely large. Nogata meteorite hit the earth on 19 May 861, was discovered in the garden of a Shinto temple in Nogata, Japan and this is the oldest meteorite ever.